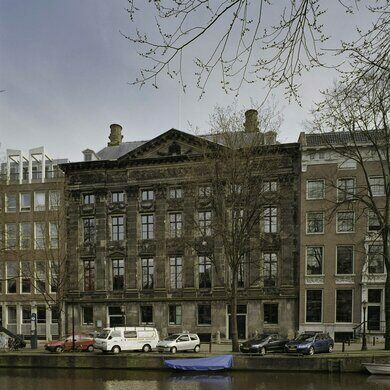 With real estate in high demand, capital cities are often crowded with tightly packed homes, and Amsterdam takes this to the extreme with its long blocks of tall and narrow houses. The reasons behind the different shapes of the rowhouses vary, but the Kleine Trippenhuis, or “Little Trip House,” is especially unique. 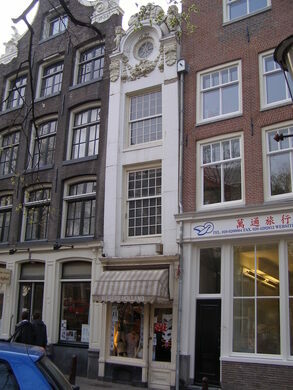 Across the street is the little, white Kleine Trippenhuis, which measures a mere 8 feet wide (2.44 meters) in stark contrast to its larger namesake. As the story goes, the diminutive dwelling was built by the brothers Trip for their carriage driver, who was overheard saying that he would be the happiest man in the world if he could only have a house as wide as his master’s front door. In reality, this is likely just a myth. The skinny house was built some 60 years after the Trip mansion, after both of the brothers were dead, most likely in order to squeeze a domicile into what was previously a tiny alleyway. 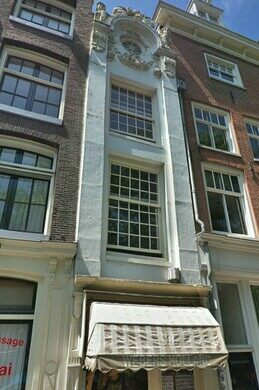 Were it true, the carriage driver’s wish would have been realized, as the Trippenhuis door is just a wee bit thinner than the little house. The bottom of the house is a shop so you can go in and see how small it is. The top floors are inhabited and not open for exploring. 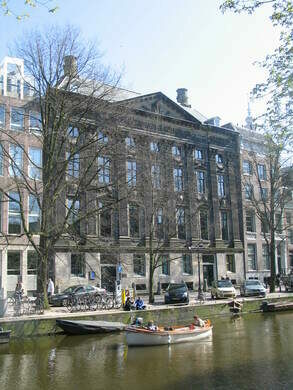 The Trippenhuis mansion across the way now houses the Royal Netherlands Academy of Arts and Sciences. 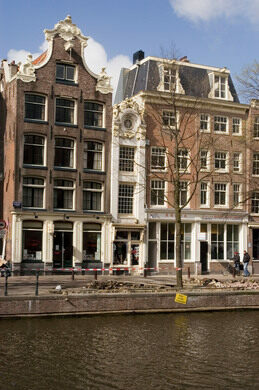 Both are located on the Kloveniersburgwal canal in central Amsterdam.